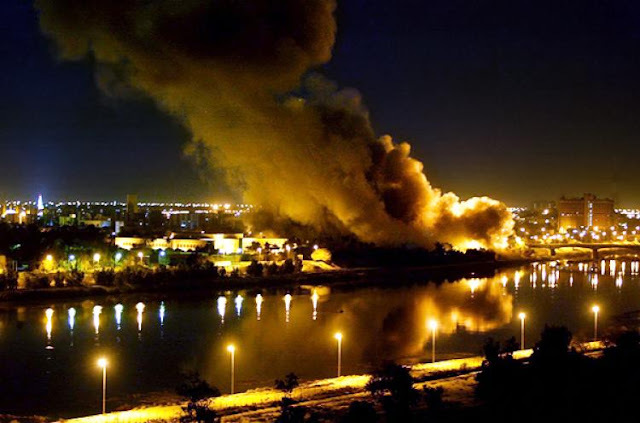 As we observe the fifteenth anniversary of the tragic U.S. War on Iraq, there are issues likely going unexamined in the mainstream media that we at Peaceworks think must be addressed. First of all, the war was illegal under international law. It was a war of aggression made by our nation against another that had neither done anything to us, nor even threatened to do so. It was not authorized by the U.N. Security Council. In fact the Council was asked to authorize the war and refused to do so. Yet President Bush, Vice President Cheney, Sec. Rumsfeld, Sec. Powell, National Security Advisor Rice and other high officials all have walked away scot-free. None have been charged with the war crimes they are clearly guilty of. Likewise, there has been no effort made to account for the harm done to the Iraqis; harm that continues to this day, nor to make reparations for these harms. We know that at least hundreds of thousands, and possibly as many as two million, died as a result of this illegal and immoral war. Our government intentionally did not keep track of the excess deaths due to the war. Nor did they accept responsibility for the rise in sectarian warfare that resulted directly from the war, including the rise of ISIS. We do know that approximately five million Iraqis were uprooted from their homes, about half left Iraq, seeking sanctuary in other nations and the other half were internally displaced. 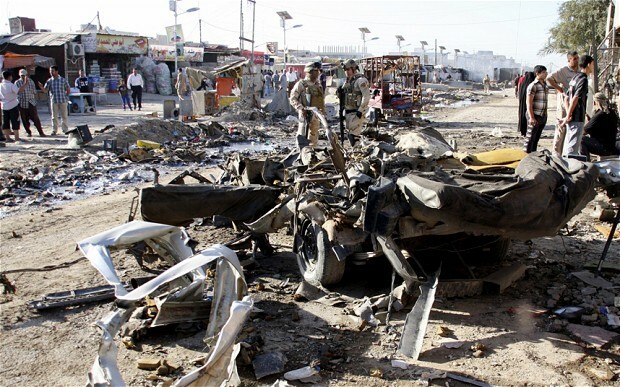 The U.S. War on Iraq significantly destabilized the region, ironically increasing Iran’s influence and, in the process, fueling an arms race and power struggle between Iran and their Saudi neighbors. The U.S. invasion was ostensibly part of a Neo-Con effort to promote democracy throughout the region, but it clearly did not even begin to accomplish this, and, in reality, it was likely never a real objective of the war’s architects. While the overwhelming majority of the casualties from the war were Iraqis, approximately 4,500 GIs have died in the Iraq War to date and more than 22,000 GIs were wounded in the war, which cost U.S. taxpayers trillions, with further costs to be incurred for decades to come. While other nations invested in their people, providing high quality, free education to their students, and invested in infrastructure, including renewable energy, our government has squandered lives and treasure, leaving us immiserated in the process. In the meantime those who participated in the war, and thus were also among its victims, have continued to be pawns exploited to further political agendas. When the war was at its peak, we were told to “Support our troops,” which was really just a clever way of insisting citizens “Support the war.” War proponents implied that those who opposed the war were undermining the morale of those who’d be sent to Iraq to kill and die. Actually, from Peaceworks’ perspective, the most supportive thing we could have done for those troops, who, like all of the American people, had been lied to regarding the threat of Iraqi WMD, was to bring them home safe and alive ASAP. Now many of those who participated in the Iraq War have returned home. Far too many have had their lives turned upside down due to the war. A significant percentage struggle with PTSD; many others have physical disabilities that will affect them the rest of their lives. Those who’ve been to war are more likely to be homeless and to struggle with substance abuse problems. Yet they are a convenient prop for pols who constantly declare their support for these “brave young men and women” who they always tell us went to war to “defend our freedom.” It’s up to us to set the record straight and point out that, while these vets generally volunteered based upon wanting to serve their country, in reality none of what they were sent to do in Iraq had anything at all to do with defending the country. In fact, no U.S. war over the past seven decades has been about defending our nation. The responsibility for war crimes lies with those at the top who gave the orders. We should neither blame those who were hoodwinked into participating in this illegal war, nor should we hold them up as positive role models. Clearly we need better education—teaching critical thinking skills—and media that asks the tough questions and presents all perspectives. In the buildup to the Iraq War, despite the news blackout of anti-war voices, tens of millions of us spoke out and raised concerns. We questioned the claims of WMD. We foresaw the likelihood of a destabilized region and many years of conflict. We raised concerns regarding the legality of making war on Iraq. And we talked about the costs in life, limb, resources and money. Those politicians who supported going to war against Iraq should be held accountable for their lack of good judgment and character. And those who went to war and now are in office or seeking office should not be allowed to use their participation in this immoral, illegal and counterproductive war as a resume builder and qualification for office. Unfortunately, many, on both sides of the aisle are trying to do just this. As we’ve seen with the Vietnam War, there is often an effort on the part of the militarists to rewrite history and convince us of the legitimacy of wars that the public, long ago, realize were, at the very least, counterproductive and not in our national interests. It’s incumbent upon us to reject such rewriting and move forward having learned useful lessons and applying them to insure that there is no repeat of the tragedy that is the Iraq War.